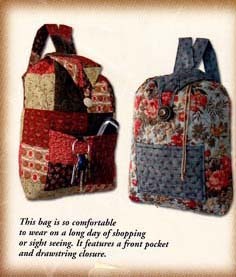 The My Favorite Backpack pattern will certainly become your favorite backpack too. 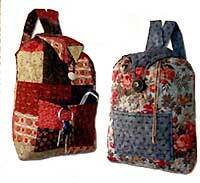 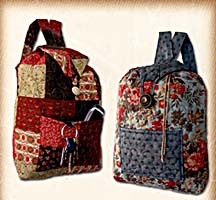 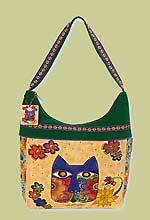 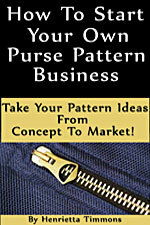 This pattern has comfortable back shoulder straps, a convenient front pocket, and a drawstring closure. 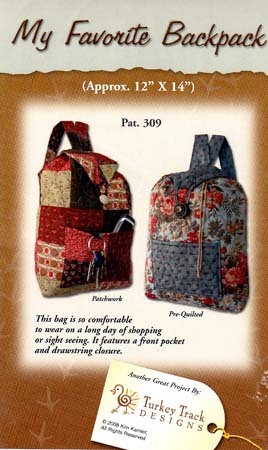 Instructions are included for either a patchwork design or using the latest pre-quilted fabrics. 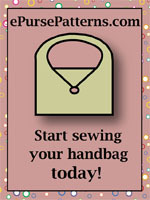 Finished size is 12" x 14".